The guide itself is organized by product category. So, for example, if you want to see the list of loudspeakers released this year, you can simply go to the Audio + Video section, then the Loudspeaker section. For integrators with audiophile clients, for example, there are so many quality loudspeaker products available these days it is almost too difficult to choose one based purely on performance. Indeed, the days of space-consuming, awkwardly designed speakers may be numbered as you peruse the array of new speakers from the past year. Overall, when the market is strong for integrators, it means it is also strong for manufacturers. 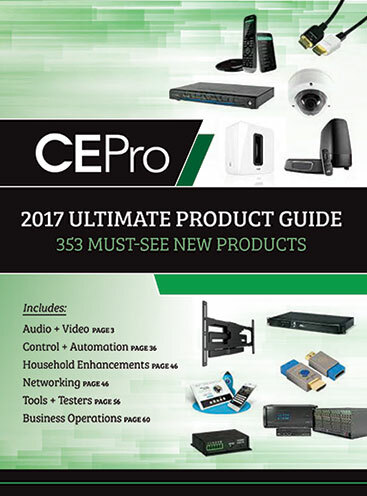 That’s why CE Pro was able to compile so many quality products for the Ultimate Guide. The market continues to move in the right direction for the overall growth of consumer electronics in general through the combination of improved performance, sleek looks and competitive pricing. That’s a win-win for the manufacturers that are delivering the goods in more form factors, able to appease to a wider consumer audience. 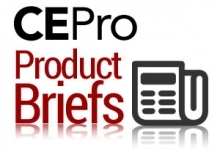 Following is just a sample of products including freestanding speakers, architectural products, soundbars, wireless speakers, home theater, multiroom a/v, displays, projection, automation, lighting, shading, security enhancements, networking and tools and software for the CE Pro. The guide also includes “DIY” consumer-oriented products that integrators can use to get their foot in the door to sell more custom offerings.